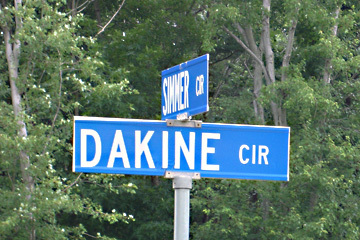 Glenn Hu, who recently moved to Springfield, Va., a suburb of Washington, D.C., came across this sign while on a bike ride. 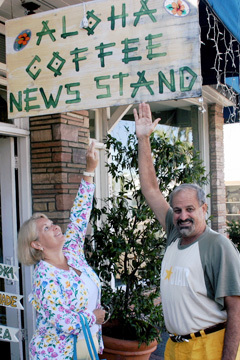 Christine and Warner Kimo Sutton found the Aloha Coffee Newsstand in San Clemente, Calif., while on their honeymoon. The shop stocks Hawaiian coffee and has Maui Maui Moka on the menu.